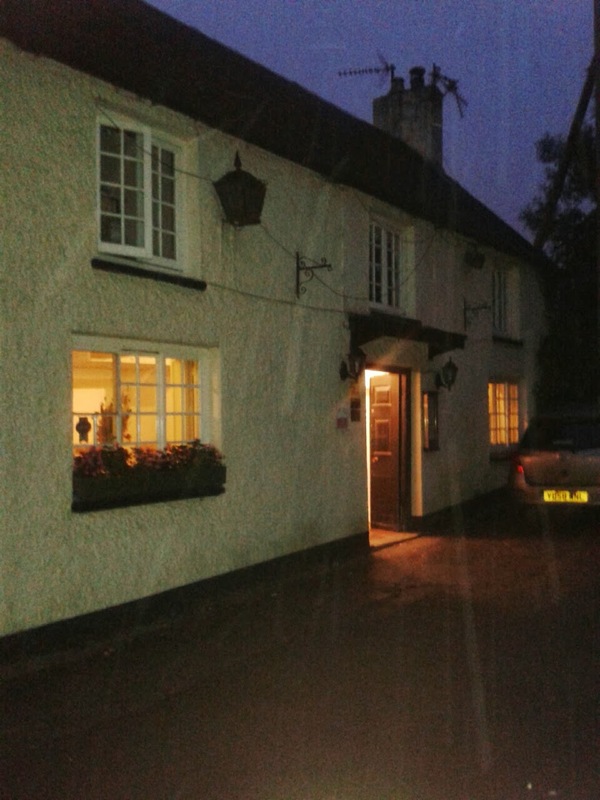 There are some pubs and inns which become embedded in your consciousness as part of your history – The Fox and Hounds Inn in Llancarfan is one of them. In my youth, many happy Sundays were spent exploring the lovely hostelries situated in the Vale of Glamorgan, having earlier sampled chocolate fudge cake and pots of tea in the now long-gone Polly’s Tea Rooms in Cowbridge. We are blessed, locally, with beautiful countryside on our doorstep, just rural enough to be wild in places and just countrified enough in others to rank as “chocolate box”. 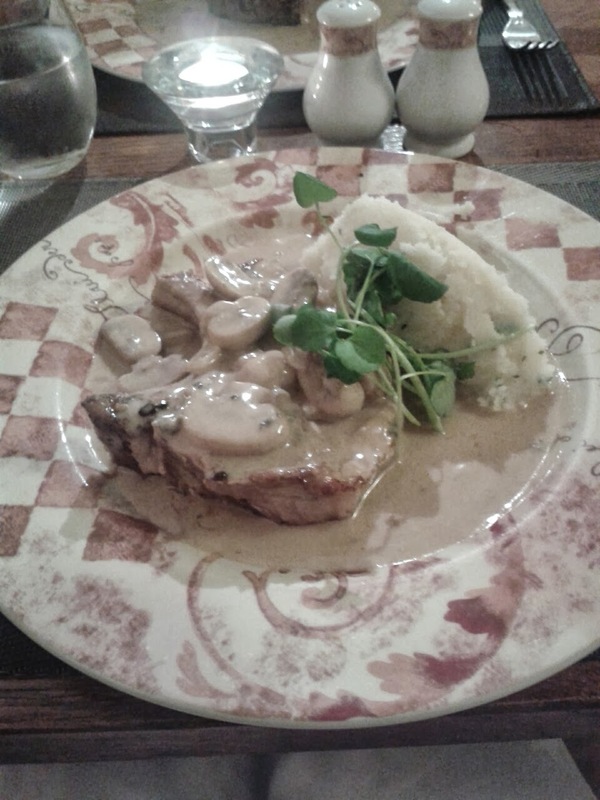 The Fox and Hounds Inn in Llancarfan (a small village some way west of Barry, near Cowbridge) falls into the latter category. It is a 16th-century inn on the banks of the Nantcarfan with a unique atmosphere. On this particular evening, The Husband and I were returning to our favourite haunt for an early wedding anniversary meal and date night to celebrate two years of not killing one another. It was dusky and damp and as the car navigated the tight turns approaching the village, we were ambushed by what could only be bats. I could not imagine a more Halloween-worthy scene. As you come down into the village, you are struck by the peace and quiet – no sound except for the water of the Nantcarfan slooshing over the ford which has caught more than one driver unawares when the river runs high. 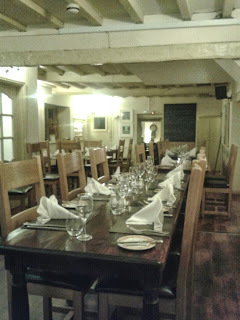 The inn is owned and run by John and Sue Millard who bought it from the villagers of Llancarfan in 2001. Both have many years of experience in hotel management and the pub now offers 8 en-suite bedrooms as well as a spacious and comfortable restaurant which can seat up to 50 guests. We received a warm welcome from Sue who confirmed that rare bats had indeed been spotted nesting in the Norman church of St. Cadoc. We mused over the novelty of this whilst I sampled a decent Cabernet Sauvignon and The Husband had a beer. 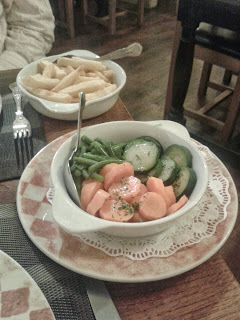 The inn has a cosy ‘snug’ with an old-fashioned settle, fireplace and grandfather clock but on this occasion, being hungry, we elected to go straight to our table. The Fox and Hounds A La Carte menu offers a satisfying selection of dishes such as “pan roasted rump of Welsh lamb with dauphinoise potatoes and port wine sauce” or “slow roast belly pork with crackling, cider jus and applesauce” (prices ranging from £14 – £18 with vegetables as a extra order side dish) – or you can choose from the specials blackboard, which offers a selection of fish dishes and other daily specials. The Husband chose fillet steak served medium rare with a brandy and peppercorn sauce and a side of chips (it was definitely the weather for chips). The steak was cooked to perfection. 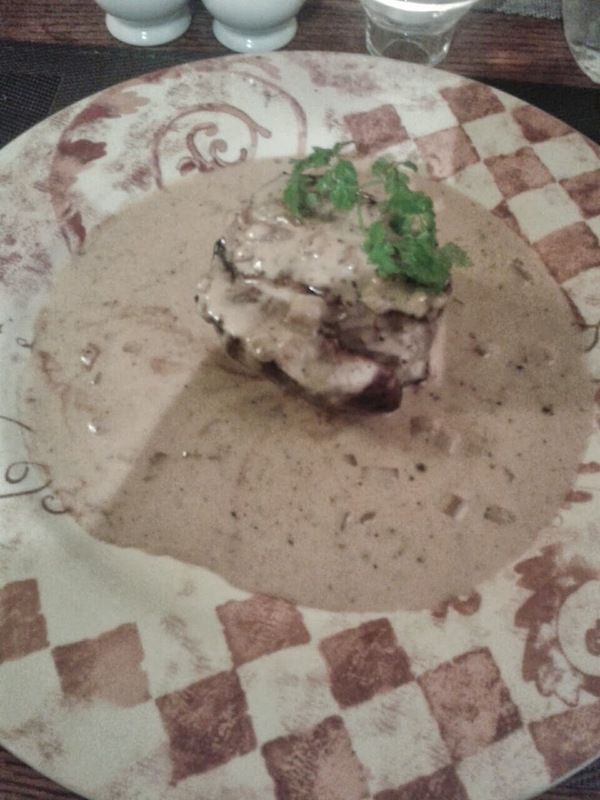 I also chose from the specials board – pan-fried pork cutlet with a blue cheese and mushroom sauce served on a bed of mashed potato. I always think pork is a risky choice as it can be so dry and uninteresting. The cutlet was most and tender and the sauce had just the right hint of blue cheese without being overwhelming. I also ordered a side of seasonal vegetables and as you can see, the portion size is generous enough to serve two. 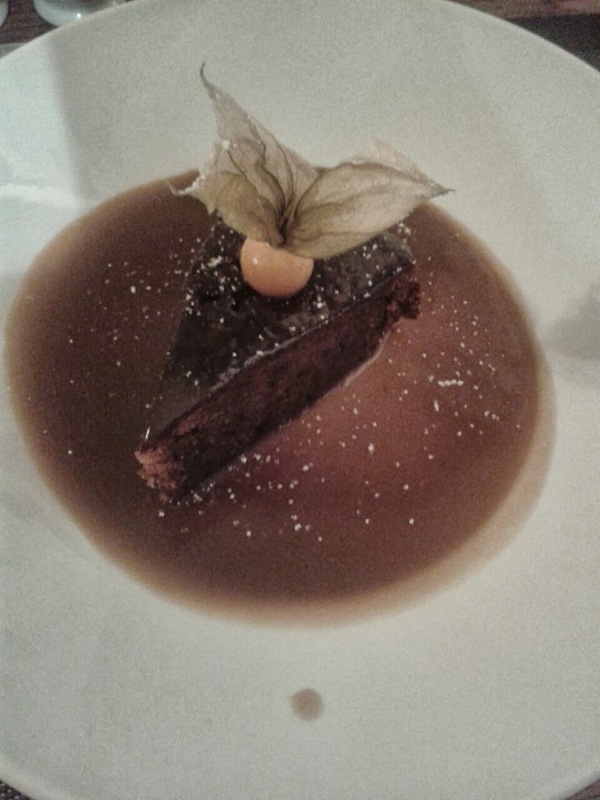 On to dessert and The Husband couldn’t resist Sticky Toffee Pudding and custard. This was the first item on the tempting dessert board and was chosen by The Husband in approximately 0.1 nanoseconds. Sticky Toffee Pudding. It would be rude not to. I chose meringue with Chantilly cream and forest fruits, exactly the right combination of sweetness and tart fruit. 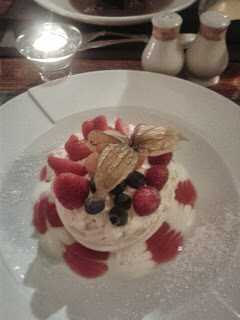 Meringue & Chantilly Cream – a least one of my 5-a-day right there. What can I say about the desserts except that the portion size is generous and by God, they weren’t going to beat us. Absolutely delicious. We ended our meal with a pot of filter coffee and enjoyed our last moments of child-free peace for the week, before walking back out into the hushed darkness and braving the bats and the murky drizzle once more. Our meal, (two drinks,mains, desserts and coffee) came to approximately £60. 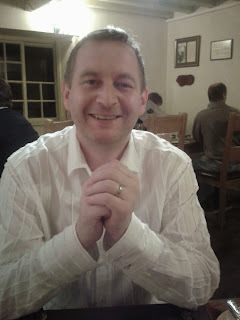 The Husband travels widely with his work but The Fox and Hounds Inn, Llancarfan remains at the top of his, and my list of favourite eateries. This is a completely independent review. Read more restaurant reviews here. "The Reluctant Hotel Inspector: Apex London Wall Hotel"
"Tuesday Torpor And Advice From Anthea"